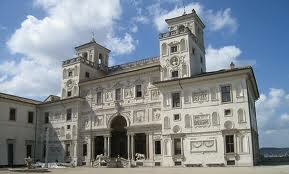 When in Rome, do as the Romans do. Go to the Spanish Steps in the Piazza di Spagna, where everyone gathers to socialise and to watch the world go by. And, if you’re a musician, climb up the 138 steps, turn left at the top, and you’ll come to the Villa Medici, headquarters of the Académie Française, retracing the steps of Prix de Rome Composition winners such as Berlioz, Gounod, Massenet, and Debussy. While living at the Villa, Debussy, Odilon Redon and Paul Vidal attended a dinner party given by Ernst Hérbert, the director of the Académie Française, on January 8, 1886. 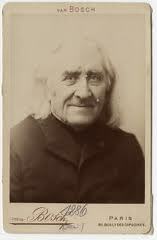 The other guest was Liszt. Debussy, Vidal and Hérbert visited Liszt the next day, and he returned to the Villa on January 13, again for dinner, this time performing Au bord d’une source and his transcription of Schubert’s Ave Maria for Debussy, who later wrote of Liszt’s pedalling as a ‘kind of breathing’. I wish I knew what Debussy meant by this. Debussy’s time in Rome was not very productive; perhaps the best of his compositions from that period is La Damoiselle Elue, his third Prix de Rome envoi, although it was mainly composed after he returned to Paris in 1887. 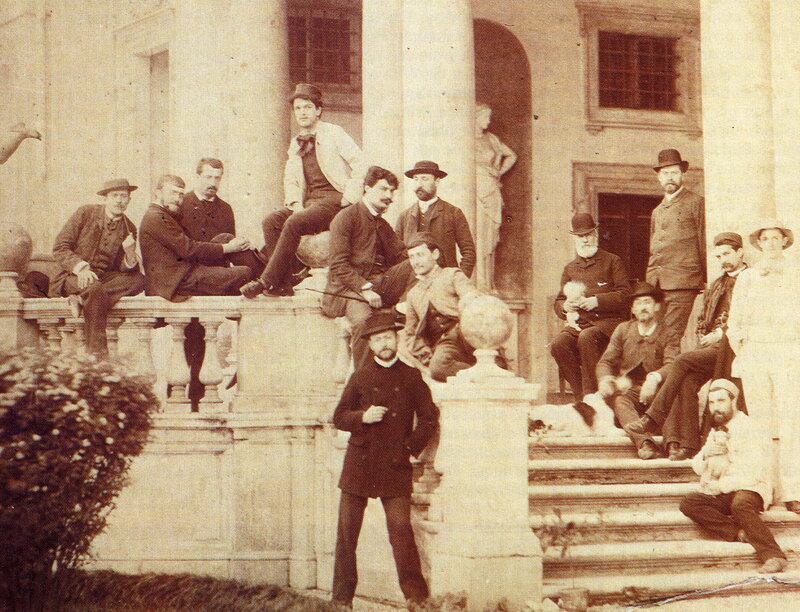 Below is a photograph of Debussy at the Villa Medici, taken in 1885; he is in the centre, wearing the white jacket and a hat. I was lucky enough to go on a tour of the Villa earlier this year – in French! – and to see for myself the steps where the photograph was taken, to wander in the gardens, and to enjoy the fabulous views over Rome. Well worth a visit, both in itself, and as the place where the French Connection between Debussy and Liszt took place. This entry was posted in Composers, Music, Places, The French Connection - An A-Z of Debussy's music and tagged Claude Debussy, La Damoiselle Elue, Liszt, Paul Vidal, Prix de Rome, Villa Medici. Bookmark the permalink.